Crowdfunding campaigns have been used to finance everything from connected watches to a Veronica Mars movie, but in Lebanon they are also now being used to help save a Tripoli’s library and the important ancient books and scrolls it contains. 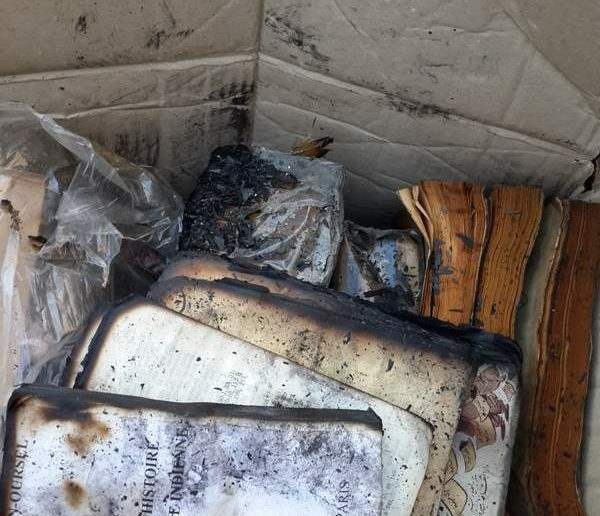 The library in Tripoli, Lebanon, was torched by arsonists after a pamphlet purportedly insulting religion was found inside one of the books. Security sources say that up to 78,000 books , many irreplaceable ancient Muslim and Christian texts and manuscripts, are now unsalvageable, according to AFP. From the ashes a campaign called Kafana Samtan has spring up to try and repair and rebuilt the library. The minimum $35,000 has successfully been raised so that repairs can be made to the library, rare books bought back, and security systems installed, but now the team behind the campaign are looking to refill the library with some of the texts lost in the fire.